We’re bringing in over 20 Singapore international schools (including pre-schools) as well as international schools from around Asia, and select overseas universities and education consultants to answer all your school-related questions. We’ve organised talks every hour, covering hot topics such as early years learning, language learning and how best to steer your child towards longterm academic success. Plus there’ll will also be workshops, free play time, goody bags and prizes too! So whether you’re child is 7 or seventeen, this is the event for you! Our partner, HSBC, is the bank of choice for global citizens, and we think that our partner is the perfect fit when it comes to finances (including relocation and international and overseas schooling costs). HSBC is always on hand to offer pre-and post-arrival support for families relocating to Singapore as well as plenty of perks for HSBC customers. 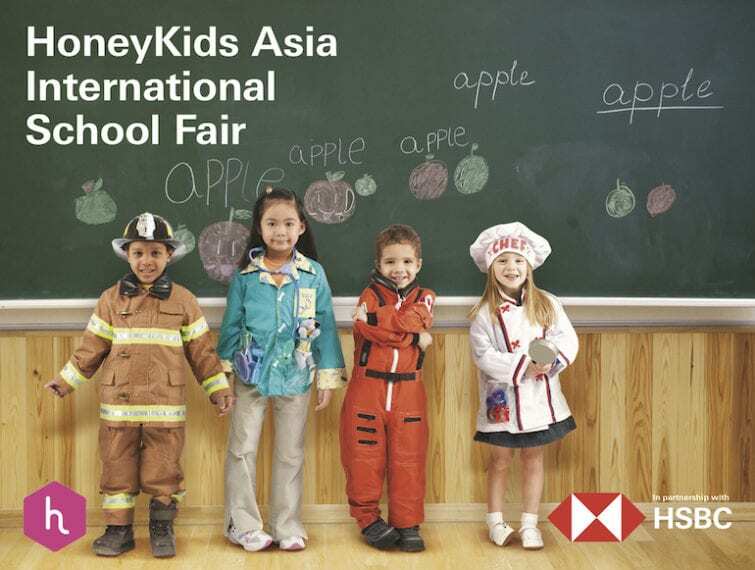 Visit HSBC at the HoneyKids Asia International School Fair to understand how they can help make your child’s education options easier. And don’t forget to collect your goody bag from them – it’s valued at over $50! If so, you’ll be stoked to hear that we’re adding an additional component to this fair (based on the feedback of parents) for those who need advice on the longer term plans for older kid’s education. Swing by for a chat with select universities and education consultants for wise words on which higher education routes suit your family best, and what overseas schooling options are available. Don’t forget to also check in with our expert partners for info and advice on all things parenting. Our friends from Santa Fe Relocation, Stork’s Nest Singapore, GrabShuttle, CIS Summer Camps, Camp Asia, SRT, Singtel, Sports Ready, Collegewise, Discovery Camps and HSBC Singapore Rugby Sevens, The Yard Gymnastics, Complete Healthcare International (CHI) and The Corner Store are amongst the awesome partners who will be on site all throughout the fair.